In addition to my 18 new birds on this trip, I saw five new animals. 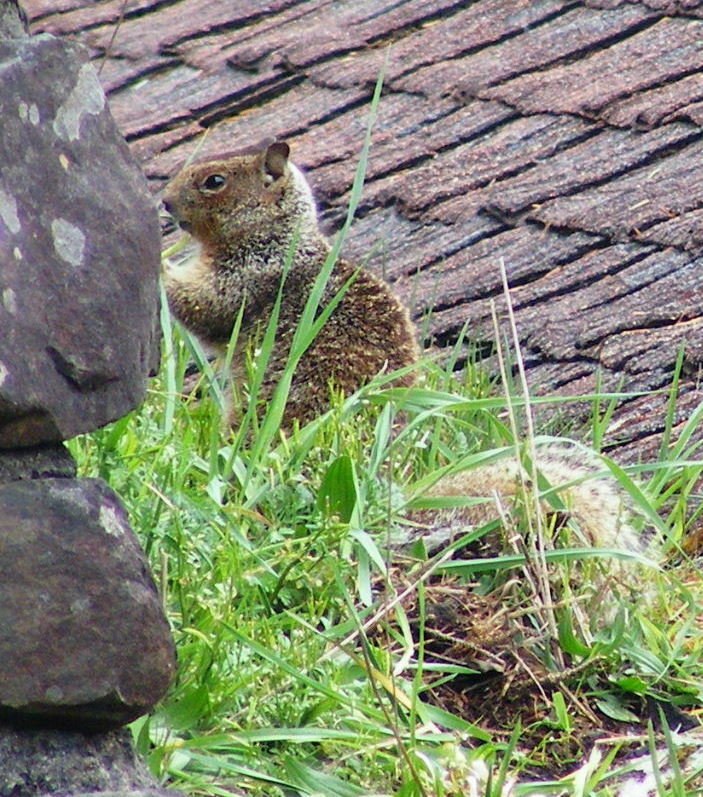 A California Ground Squirrel was sitting on the roof of a small building along the trail near the tip of Tillamook Head. I walked off the path a few feet to get a good look. I have to admit that I didn’t identify it at the time — my field guide to animals was back in Portland at the hotel. But I took a picture.